Microsoft just can’t seem to shake the image that Windows 10 is spying on you. And Microsoft’s lack of transparency about Windows 10’s privacy isn’t doing much to dispel the notion. In the nearly three weeks following Windows 10’s release, there have been numerous reports about how much personal information Microsoft collects, and the hurdles to stopping it. Now take a deep breath. There’s actually a reasonable explanation for all of this — it enables some of Windows 10’s best and most convenient features. The good news: If you don’t want to share that information, you can disable it. The bad news: Microsoft has an incredible 13 separate privacy screens that you’ll have to navigate through to shut off all information sharing. Windows 10 will use your Internet connection to help other people download apps or update their PCs. If someone (let’s call her Bekka) is having trouble connecting to Microsoft’s servers, Bekka might instead download that update or app from you, a complete stranger. It all happens in the background, without either of you ever knowing it. It’s a feature called Windows Update Delivery Optimization, and it’s actually a potentially brilliant way to help Windows 10 users update their PCs faster by connecting to millions of different people instead of just Microsoft. But Microsoft isn’t upfront with customers about it. To turn it off, you’ll have to navigate to a submenu (“Choose how updates are delivered”) of a submenu (“Advanced options”) within the settings app. Microsoft should be more forthright that it’s using your PC as an update server, and it should make turning the feature off easier. Windows 10 includes a new feature called Wi-Fi Sense, which allows you to automatically log your friends onto your Wi-Fi network without ever giving them your password. That freaked some people out, because Microsoft is storing and delivering your Wi-Fi password, which can be a key to all your private files and photos. In truth, there’s really not much to worry about. Though Microsoft enables Wi-Fi Sense by default on Windows 10, it doesn’t share your networks by default — you have to choose to do that. When your friends connect via Wi-Fi Sense, they won’t then, in turn, be able to share your network with their friends. Wi-Fi Sense encrypts your password, and it won’t work on corporate networks with special security protocols. And you can opt out. Still, Microsoft’s all-or-nothing policy is potentially troubling. Choosing to share access to your Wi-Fi network with all your Facebook, Skype and Outlook.com contacts means your best friend will get access, but your stalker will too. If you went to all 13 privacy pages and shut off all data sharing, you’ll still share information with Microsoft. As Ars Technica first reported, even if you disable Cortana and Bing queries in the search box, opening the Start Menu and typing — anything — will still send some data to Microsoft. Microsoft said there’s nothing nefarious going on there. It’s not reading your search queries, just learning some basic habits about how you (and many others) are using search. It’s not clear exactly what Microsoft means by that, but the company hinted that it’s looking at broad behaviors. For example, it may be recording the simple fact that you searched for an item on your PC and how you initiated the search (a click vs. a keystroke). But, come on, Microsoft. Shouldn’t there be a way to just opt out of all data being sent to you? Tech blog Alpha noted late last week that the Windows 10 license agreement everyone agrees to (without reading) includes language that seems to allow the company to scan your computer for pirated games and disable them at will. This applies to Windows 10 services, such as Xbox Live, not Windows 10 itself. So Microsoft isn’t scanning your PC for illegal copies of Halo. 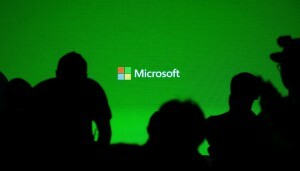 But it’s written like it could — and Microsoft should make that clearer in its privacy statement. Windows 10 is not nearly as bad as what you’ve read. But Microsoft isn’t doing itself any favors with overly broad privacy statements, difficult-to-navigate privacy settings and a general lack of transparency. Is Windows 10 the Revenge of Microsoft? Microsoft is not a company historically associated with minimalism. For quite some time, its operating system, Windows, has been plagued by tedious customization and nettlesome bloat. In the mid-1990s, Microsoft’s “opt-out” versus “opt-in” approach to add-ons, upgrades, and middleware was notorious. Windows 95 was only exceeded in how annoying it was by the number of times a day “Macarena” played on the radio. Microsoft’s approach was the opposite of its competitors Apple and Google, which defined their products through style or a sort of “we’ll take care of it for you” attitude, hiding complexities from users behind sparse interfaces. But in 2015, a lot of things have been turned on their head. Apple is criticized for the usability nightmare associated with iTunes and Apple Music. Google is unplugging its products with Google Plus, which has been a disastrous and failed attempt to catch up on social media. For the better part of the past two decades, Microsoft has struggled with its major updates but, refreshingly, the company seems to have found its stride with its recent releases. Windows 10 seems to be making up for lost ground with an operating system that is beautiful, easy to use, and dare I say … enjoyable. Some have compared it to Windows 8 by noting some similarities. But Windows 8 had hiccups with a semi-functional and very intrusive touch interface. Windows 10 has done a complete about-face to the mouse and keyboard experience that has defined most of Windows’ history. Of course, the touch options aren’t gone completely, they’re just tucked away, ready to be activated when you need them. This means Windows users can still use apps that are optimized for touch. What about upgrading? Seamless. Upgrading from Windows 8 to Windows 10 is easy and an immediate improvement in every way. This is not a repeat of XP and definitely not Vista. Although XP eventually proved itself to be a pretty decent operating system, many of us remember how awful and buggy it was initially. Vista, on the other hand, was a prolonged disaster for both the company and its users. Some Windows users recall the dread invoked by putting together the words “upgrade” and “Windows.” Windows 10 takes away the headaches. Windows 10 also marks a potential milestone in a change of direction for a company that has built a $170 billion empire by selling software. In Windows 10, the business model of Microsoft’s future is laid bare. In short: It’s all about data. Microsoft is poised to compete directly with Google in an area that the latter has dominated so far. We’re not just talking about search. Rather, it’s about turning the entire desktop experience into a monetizing opportunity. This is not Bing: The Sequel. It’s something much bigger and smarter. At this point, Microsoft’s operating system ships with a lot of services that users are already familiar with and dependent upon (e.g., OneNote, Outlook, Word, Excel). Windows 10 makes it clear that anything you do in these apps can (and likely will) be scanned, parsed, and sold to advertisers. Your emails, messages and documents — nothing is off limits. Sure, Google has already won hands-down in the search business on the Internet. But Microsoft still owns the desktop in both professional and personal environments. That reach could be over 150 million users, a number that includes the majority of web users and then some. In other words, the company is building an ad business of epic proportions off its existing user base. This perspective also helps to contextualize the company’s recent $100 million dollar investment in Uber. Imagine what it would mean to have the world’s most disruptive transportation startup feeding its data directly to Microsoft. This will include frequently traveled transportation routes, popular locations, and other information advertisers would salivate over, all at a global scale. Then there’s Cortana, the digital assistant and Microsoft’s answer to Apple’s Siri and Google’s Now. Much like Google Now, Cortana is being positioned as a virtual concierge at the center of the OS itself. And it’s more useful. Google Now is limited by Google’s ubiquitous but fragmented Android ecosystem and minimal reach on users’ desktops. Cortana may not dominate mobile like Siri and Google Now, but Windows’ dominance on desktops makes it an instant threat. If Microsoft can successfully ship 1 billion Windows 10 devices in the next three years, that alone would equal the number of Android users (798 million) and iPhone users (294 million) combined. Well played, Satya Nadella. With access to all the data Windows users will be feeding it on a daily basis and partnerships with companies like Uber, Microsoft is in a much better position to out-Google Google by organizing the world’s information and personalizing it for users, and in the process, opening a potentially game-changing revenue opportunity with advertisers.